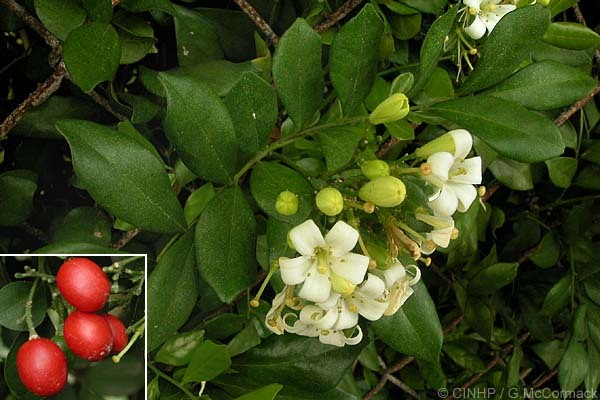 KEY FEATURES: Shrub to small tree to 8m. LEAVES 3-7 near equal-sized leaflets. LEAFLETS without strong odour when bruised, oval, to 10x4cm, minute teeth. FLOWERS compact terminal clusters of 2-8, 3cmØ, strong citrus-like aroma, petals recurved, white. FRUIT ovoid, 6mmØ, ripens orange to red.